Asahi Beer is brewed from quality ingredients by using selected cultured yeast and our advanced brewing techniques. 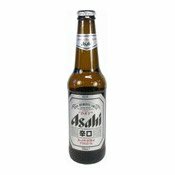 Asahi beer has excellent richness, truly refreshing drinkability and satin smoothness all year round.You can enjoy the great taste of Asahi Beer! Asahi, pronounced "Ah-Sah-Hee" means "Rising Sun" and is Japan's number one premium beer known for its clean, crisp and refreshing taste. It is brewed by an authentic Japanese recipe using only the finest ingredients. Allergy Advice: Contains Barley Malt (Gluten). 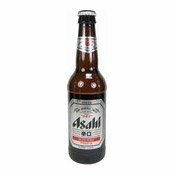 Simply enter your details below and we will send you an e-mail when “Asahi Super Dry Beer (5%) (朝日啤酒)” is back in stock!